Josh Barry, a passionate rugby player, enlisted in the US Marine Corps at 17. 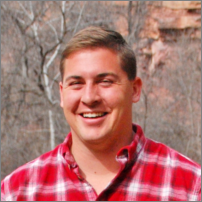 Upon completion of his enlistment, Josh moved back to Denver, CO and founded Freedom Pergola LLC. Josh was given an opportunity to take over the sales program for Freedom Yurt Cabins, a company founded in 2014 by his father, Richard Barry. In April of 2016, EcoCabins and Freedom Yurt Cabins formed a partnership and established Freedom Outdoor Structures where Josh was promoted to President.